The Capital Barbie: Give me A Pom! Can we talk about a trend that I absolutely LOVE for summer? Pom poms. Yeah. 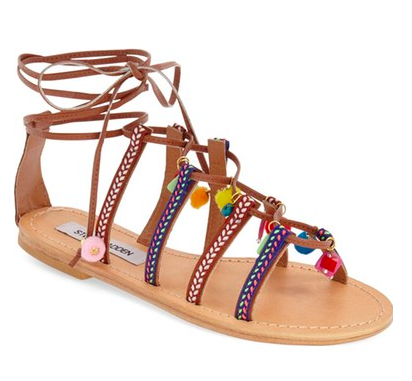 They're like 3-D polka dots and they are so freaking cute but depending on your style they can also be boho. No matter what your style, I've got pom pom sandals under budget. 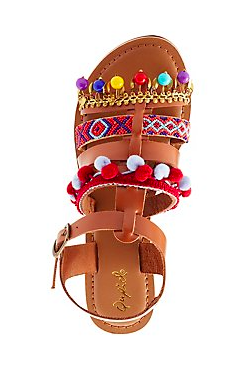 It's like a charm bracelet for your feet. I love the mix of colors and patterns. Look at the beaded strap, its different from left to right. I love it. A little tamer but still brining to color. Not into lace up? I got you covered. Who can't have a great day in these sandals? They're so perky and fun! 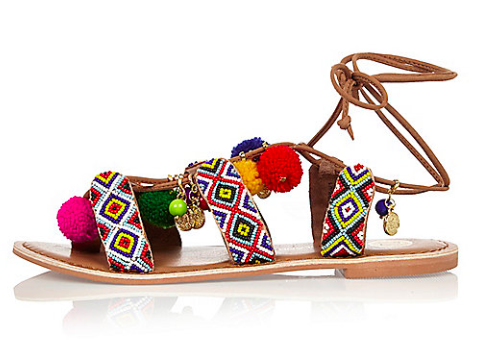 I am obsessed with pom pom sandals!